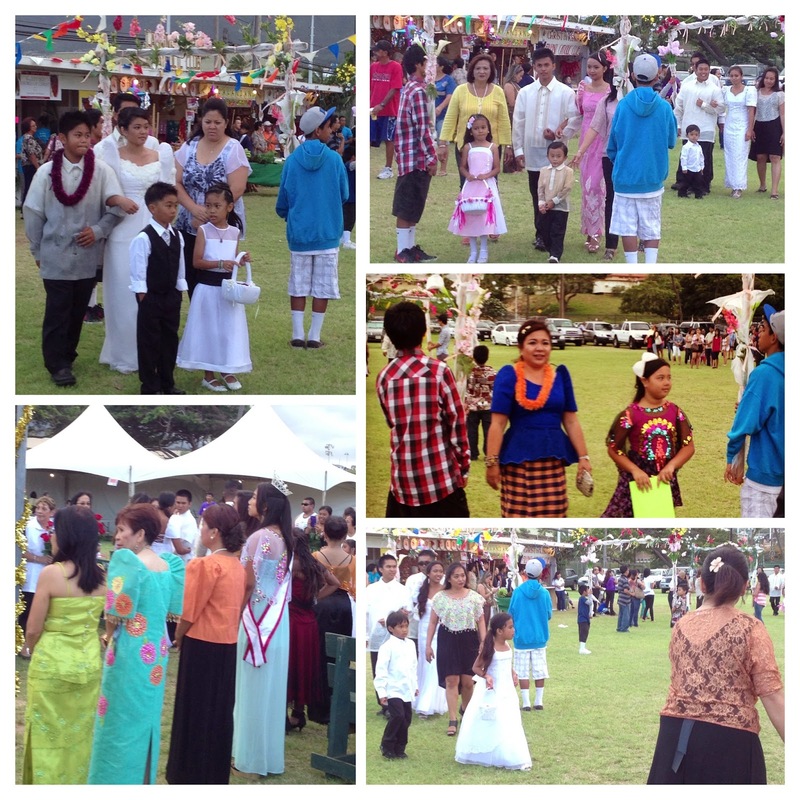 Maui Jungalow: Puffed Sleeves, Bright Crochet, and Halo Halo – Where Am I? 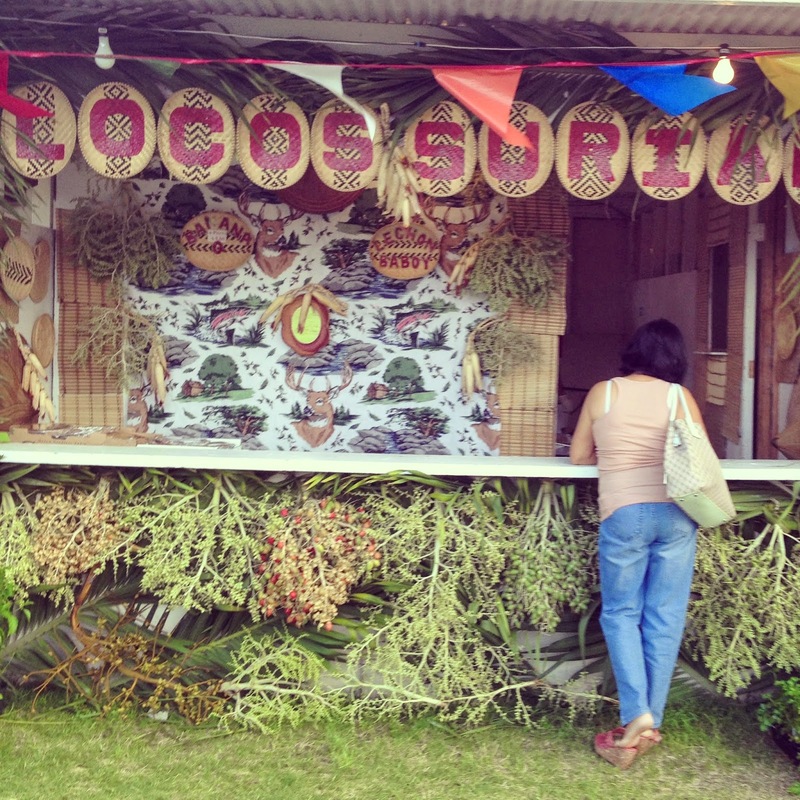 row of booths is decorated with palm flowers, leaves, flowers, bamboo, and multicolored crocheted panels. It’s a makeshift village, set up just for the weekend. Have you guessed where I am? 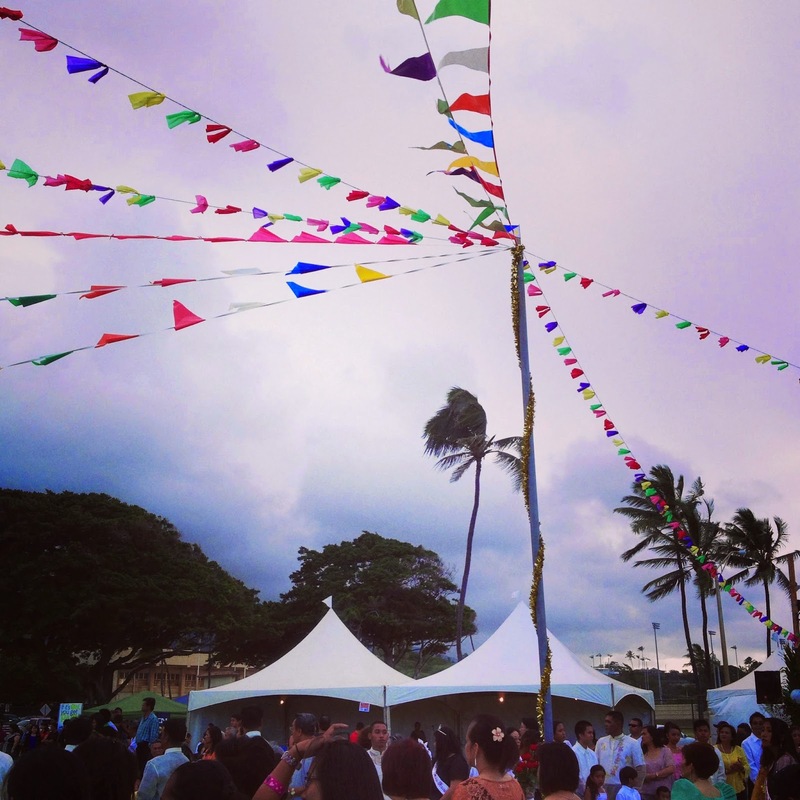 The Barrio Fiesta Maui. 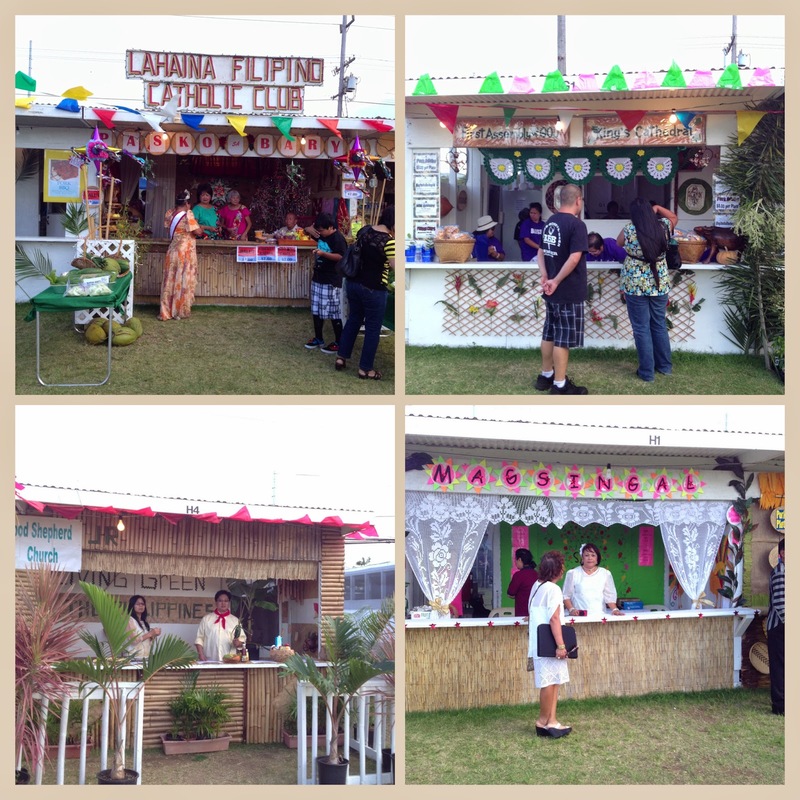 A variety of booths to create a "barrio" neighborhood. This booth is decorated with palm flowers below the counter. I feel like an explorer landing on a new and exotic planet. Who lives here? What do they value? What do they eat? The food in itself is a whole fascinating chapter. Yet I take hardly any pictures of food, because I am so intrigued by the clothing. 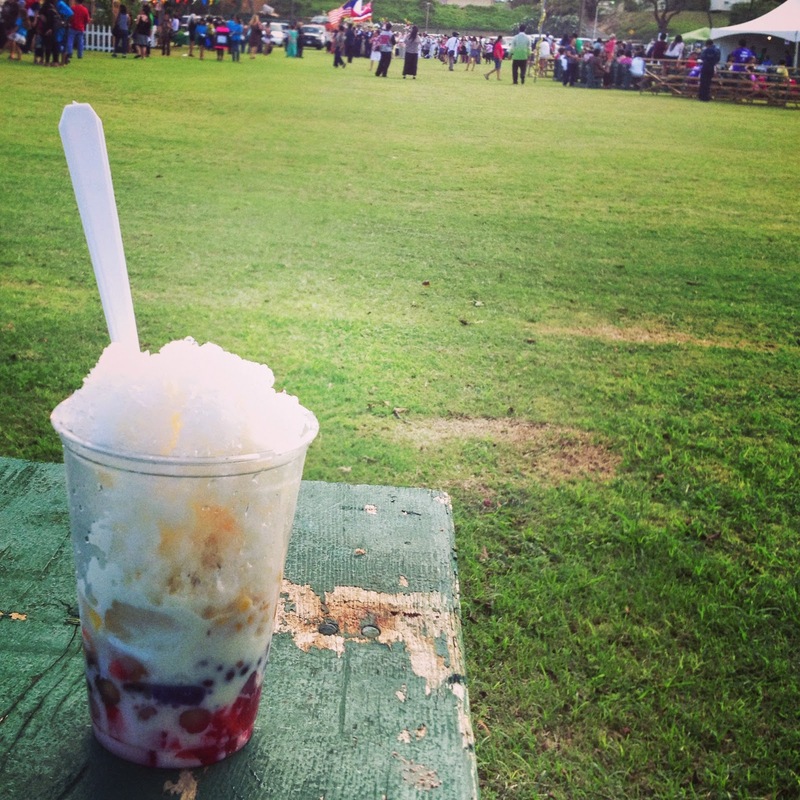 The one food picture I have is of halo halo. This is a Filipino dessert with ice cream, dried colored fruit, even sweet corn and sweet potatoes. It’s sound strange but it's yummy. Warning: there is a sugar explosion on the bottom. Halo Halo - a creamy, icy Filipino dessert delicacy. Why am I even here? I was so intrigued by reading a post on A Maui Blog last year, that I thought I would check out the Barrio Fiesta on Maui. I also saw it mentioned on the Shaka List (25 things to love about Maui) by a friend Shannon Wienecki, so that sealed the deal. Since I arrive when the fiesta begins, I am a witness to the opening parade at night. It’s a small parade but very colorful with lots of flower garlands and princess puffed sleeve dresses. Men are more simply adorned, but the women are like flowering orchids in their colorful fairy tale dresses. I get confused and think I am at a wedding procession. So many colorful outfits and puffed sleeves, though not on every woman. I’m only here for a short time, just to get a glimpse of this other culture, both so familiar and so foreign. It’s familiar because there are many Filipinos on Maui and every time I go to the Kahului or Ka'ahumanu Farmers Market, I hear Ilocano or some other Filipino dialect. It’s also very foreign, because some of the food can be quite intimidating – like balut, the infamous “crunchy” egg. But I’m a huge fan of lumpia and anything with adobo. The organizers and volunteers have put in a lot of hours to make the Barrio Fiesta happen. Each booth is lovingly decorated with a handmade, rustic look. The textures are diverse and natural. It’s a visual feast. 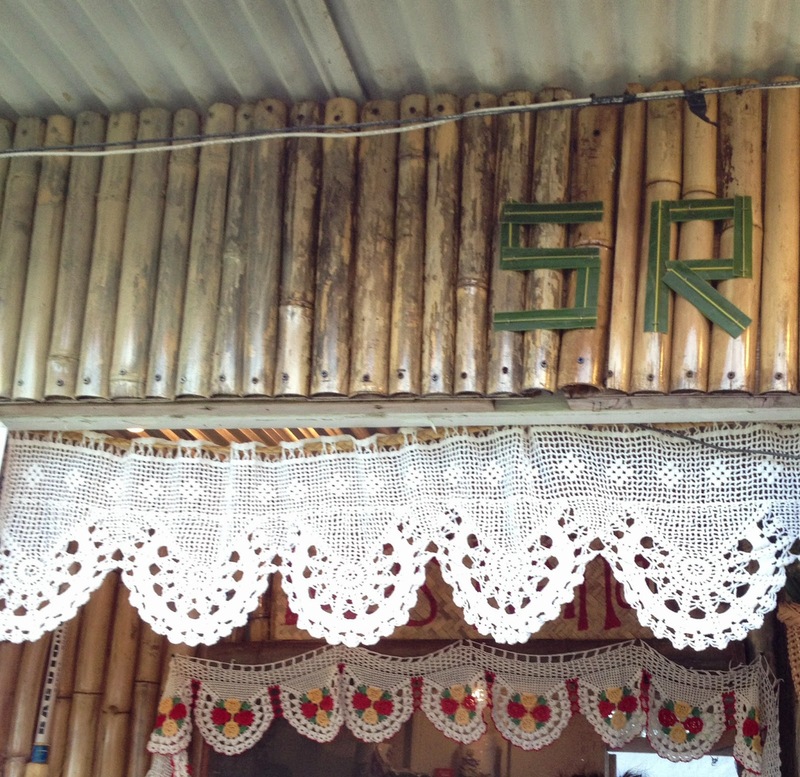 I think the idea is to recreate a barrio in the Philippines, though I have no idea whether the Filipino usage of barrio is as a neighborhood or as a small village. Maybe it doesn’t matter. 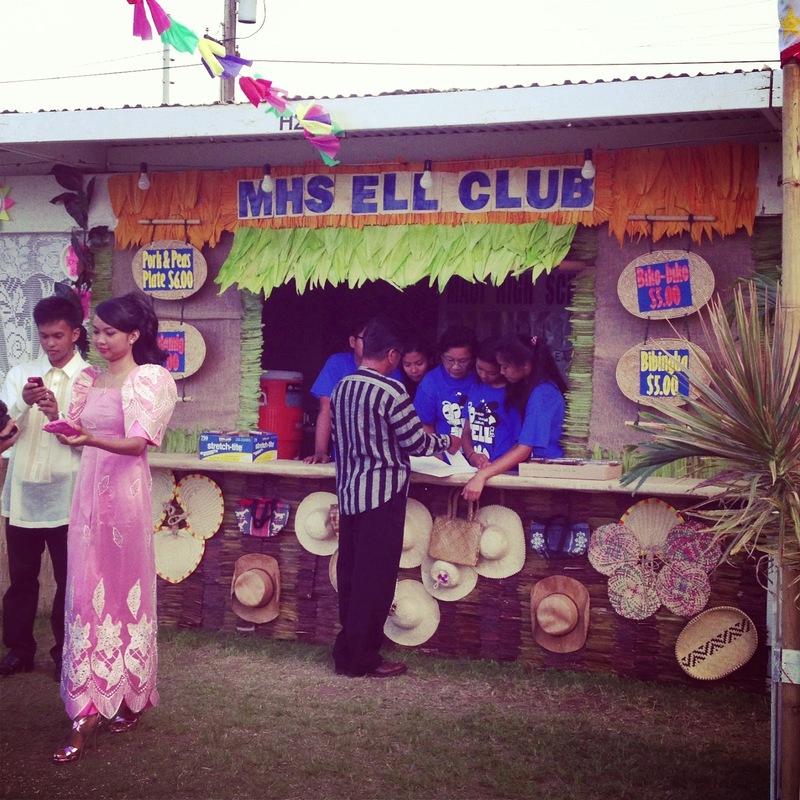 Maybe it’s so rural outside of Manila, that every neighborhood is like a little village. Everyone here seems to know each other, probably they are all related! It’s Maui, after all, and local families can be quite large and interconnected. But I’m sure many people still have relatives in the Philippines, and travel back and forth each year. Since I am only at the fiesta on opening night, I miss out on Saturday’s entertainment and the greased pole climbing contest. That sounds like fun. If you go to Barrio Fiesta 2014, opening night already happened last night, but you can still go today. It’s at the War Memorial Soccer Field in Wailuku. Will women still be dressed up in fairy tale outfits on Saturday? I don't know, but you might get a chance to test your pole climbing prowess. Looks like a lot of fun!! Love the little girls in the puffy sleeves. I remember being a little girl and loving the "fancy" dresses. You're braver than I am with the food. Sweet potatoes and ice cream? Hmm. Aloha Elizabeth! The little girls were like flower maidens. Sweet potatoes in ice cream does sound strange, but we have these very beautiful, purple super sweet potatoes that are not watery, very creamy, and they make beautiful purple pies too... so they taste surprisingly good and sweet. Another reason I need to visit Hawaii! I've never heard of the purple sweet potato. If you ever plan a trip, let me know! I can give you tips. : ) Purple sweet potatoes are lovely. I guess I'll have to write about them sometime. Wow, thank you Susieee! I didn't know there was a name for this style of dress.